This table will make the perfect addition to any dining room to gather with family and friends. The 60 inch long table surface seats six comfortably for your dinner party. The warm espresso finish gives off an inviting and comfortable feel to your room. 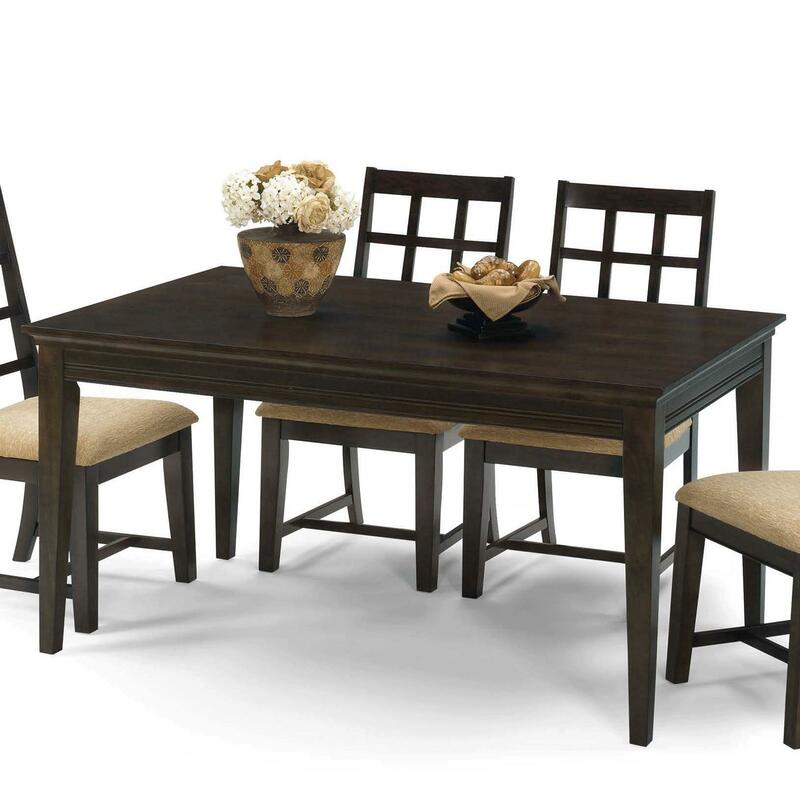 Casual and simple this rectangular dining table is sure to please you and your guests. 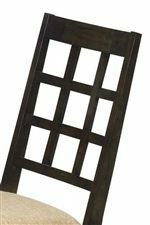 The Casual Traditions Casual 4 Leg Rectangle Dining Table by Progressive Furniture at Lindy's Furniture Company in the Hickory, Connelly Springs, Morganton, Lenoir area. Product availability may vary. Contact us for the most current availability on this product. Case Construction Rubberwood solids and melamine tops. Handles & Hardware Wooden hardware. Case Detail Simple splayed legs. Shaker influenced overlays. Description: Top Melamine tops provide durability. Create a casual and warm atmosphere by bringing the Casual Traditions collection into your home. Finished with a warm espresso veneer over rubberwood solids this collection will create a very inviting and comfortable place to live. Casual in design, the collection features simplistic elements such as, splayed legs, wooden hardware, and melamine tops which will fit into almost any home decor. 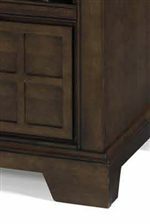 The Shaker influenced overlay that is seen throughout the collection add a nice detail to the headboard and drawer faces. Wood on wood drawer guides and wooden hardware give a sense of a traditional feel without losing the casual aspects of the collection. This collection will certainly please you and your friends and family. The Casual Traditions collection is a great option if you are looking for Casual furniture in the Hickory, Connelly Springs, Morganton, Lenoir area. 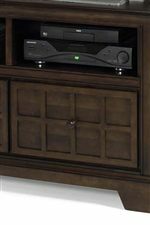 Browse other items in the Casual Traditions collection from Lindy's Furniture Company in the Hickory, Connelly Springs, Morganton, Lenoir area.